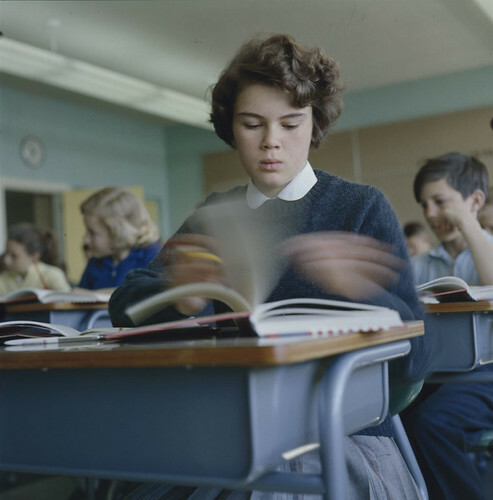 Is the textbook an antique or a necessary part of world language curriculum? The importance of the textbook in the world language classroom has become a heated discussion rather than a reliable staple of the language community. During #langchat on Thursday, participants discussed the benefits and drawbacks of relying on textbooks as the primary source of language learning, and provided some excellent alternatives to a traditional textbook. Still, many world language teachers learned from textbooks and find that there is still value in using them. @Emilybakerhaynes summed it up excellently: “[Textbooks] are how I learned Spanish and I don’t feel that my learning experience with them was negative.” Other teachers described “fond memories” of using textbooks to learn, but were clear in their overall feeling: Textbooks don’t have the capacity to reflect the constant motion of language learning. Teachers like @ProfesorM and @EmilyBakerHaynes use textbooks to supplement their curriculum. Technology components like Ipads may make language textbooks more adaptable and flexible. A surprising number of teachers at the #langchat session were clearly attracted to the concept of creating their own solution to the textbook problem. Some, like @cadamsf1, are required to use textbooks in the classroom and want to have options for incorporating more authentic resources without losing the structure of a book. Instead of purchasing textbooks, some teachers have convinced administration to purchase Ipads to create a more interactive learning experience. @Klafrench and @Srtalisa suggest using e-books that students can carry with them on mobile devices. @SenoraCMT and @CarolGaab spoke of the benefits of using full-length novels in the target language for building cohesive units. Regardless of whether teachers were for or against using textbooks in the language classroom, it was clear from the discussion that a broad array of strategies is the most effective way to engage students. #Langchat participants agree that through a combination of ACTFL-aligned lesson plans, authentic resources and a strong emphasis on communication, students will become more confident speakers and more likely to continue language studies.